All Seasons Termite & Pest Control - Cockroach habitat American cockroaches generally live in moist areas, but can survive in dry areas if they have access to water. They prefer warm temperatures around 84 degrees Fahrenheit and do not tolerate cold temperatures. 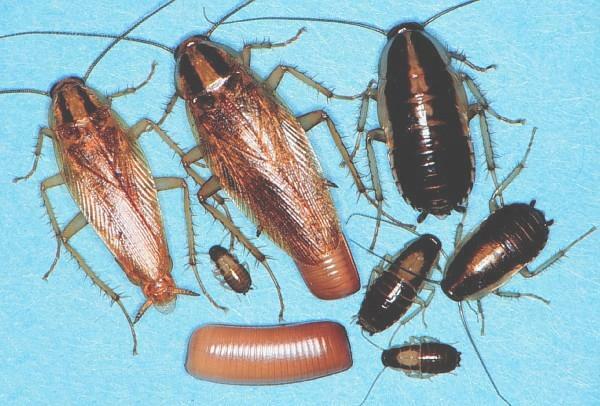 In residential areas, these cockroaches live in basements and sewers, and may move outdoors into yards during warm weather. 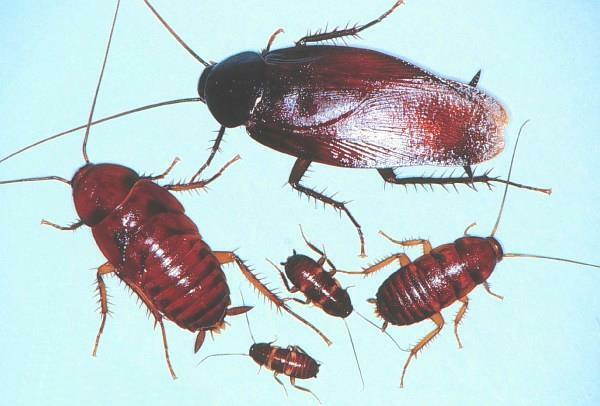 These cockroaches are common in basements, crawl spaces, cracks and crevices of porches, foundations, and walkways adjacent to buildings. They feed on a wide variety of plant and animal material. German cockroaches usually prefer a moist environment with a relatively high degree of warmth. The insects are mostly scavengers and will feed on a wide variety of foods. They are especially fond of starches, sweets, grease, and meat products. In many locations, garbage is a principal food source. As with other species, German cockroaches are mostly active at night, when they forage for food, water, and mates. During the day they hide in cracks and crevices and other dark sites that provide a warm and humid environment. Their relatively wide, flat bodies enable them to move in and out of cracks and narrow openings with ease. They may be seen during the daytime, particularly if a heavy population is present or if there is some other stress, such as a lack of food or water or an application of pesticides. The Smoky Brown cockroach is a tropical roach, thus more common in the southern United States. This species is occasionally shipped all over the U.S. on fruit or nursery stock. They enter houses in the summer or hitchhike on firewood. Females lay a dark brown capsule that contains 24 eggs, hatching in one to two months. The young will become an adult in 10-12 months. This roach is not usually found in the Northern States unless they are broughtin. However, in the Southern part of the country they are numerous. These roaches fly at night toward lights. thus more common in the southern United States. This species is occasionally shipped all over the U.S.
on fruit or nursery stock. They enter houses in the summer or hitchhike on firewood. hatching in one to two months. The young will become an adult in 10-12 months. However, in the Southern part of the country they are numerous. 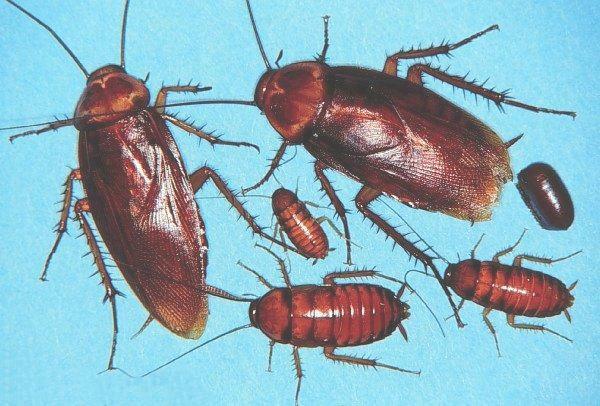 These roaches fly at night toward lights.